This listing is for 1 High Resolution PDF. 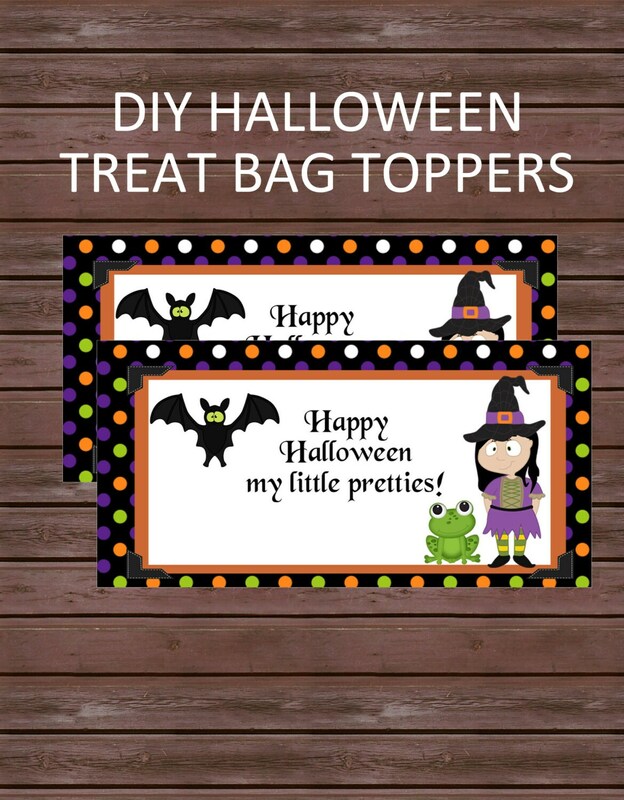 file featuring these cute witch treat bag toppers personalized for your child to give as classroom treats or party favors. Tags are 4" x 4" and when folded in half will be 4" x 2". Place purchase and note your personalization. 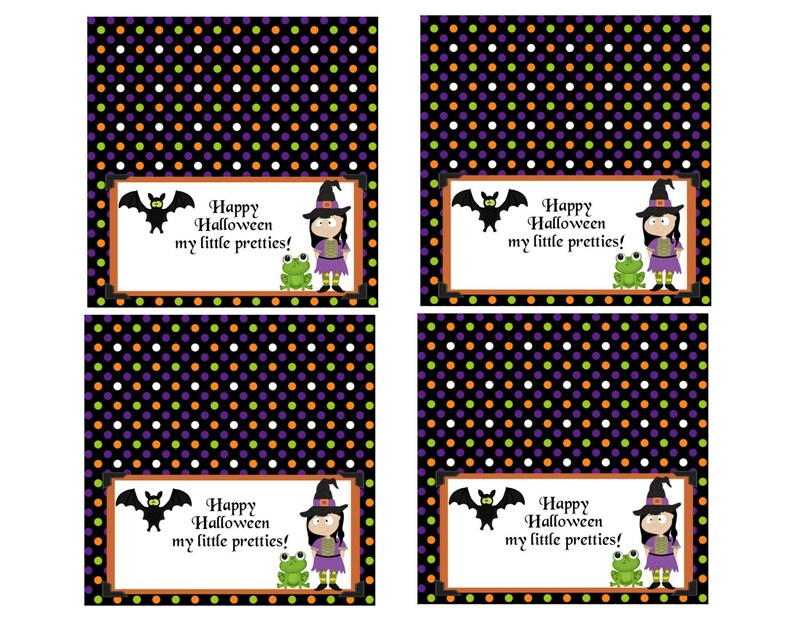 You will receive within 24-48 your your personalized toppers in 1 8.5" x 11" pdf. file. There are 4 double sided toppers to a page. 4" wide Cellophane treat bags- bags in photo are 4" x 6"
Please note pdf file you receive is for your personal use only.